I was feeling nostalgic over the weekend and decided to make something along the lines of the classic Little Debbie’s Oatmeal Creme Pies, like the ones my mom used to pack in my lunch in grade school. These came out better than expected, flavor-wise (definitely better than Little Debbie’s), but they took a little work to achieve the proper cookie sandwich appearance. A couple of tips: If your cookies come out of the oven rounded on top, they won’t fall flat, which means they won’t sit flat when you flip them upside down and slather cream filling on them. Take the opportunity when they’re still warm to gently press them flat. That way, they’ll maintain their nice, rough texture while achieving functionality. Also, don’t spread on the filling until the cookies have cooled completely. Otherwise it will soften, and the weight of the top cookie will squeeze it out of the middle, which is lame. I credit my mom for getting me into steel-cut oats. The last time I was home, she cooked up a batch for my brother’s first day of the school. She added honey and bananas to her batch. It cooked all night, and by the morning the house smelled wonderful! Some other topping ideas I had: peanut butter, chocolate chips and coconut flakes; dried cranberries, honey and toasted almonds; fresh blueberries and maple syrup. Get creative! 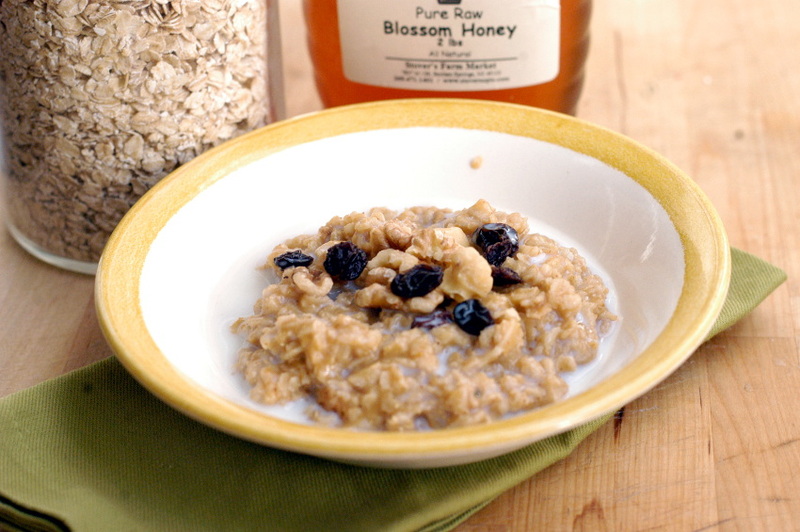 Add the oats, water, milk and salt to a slow cooker. Stir gently to combine, and cover with the lid. Cook on low for 8 to 9 hours, preferably overnight. To prepare the cinnamon sugar topping, mix the 2 ingredients together in a small bowl with a fork. 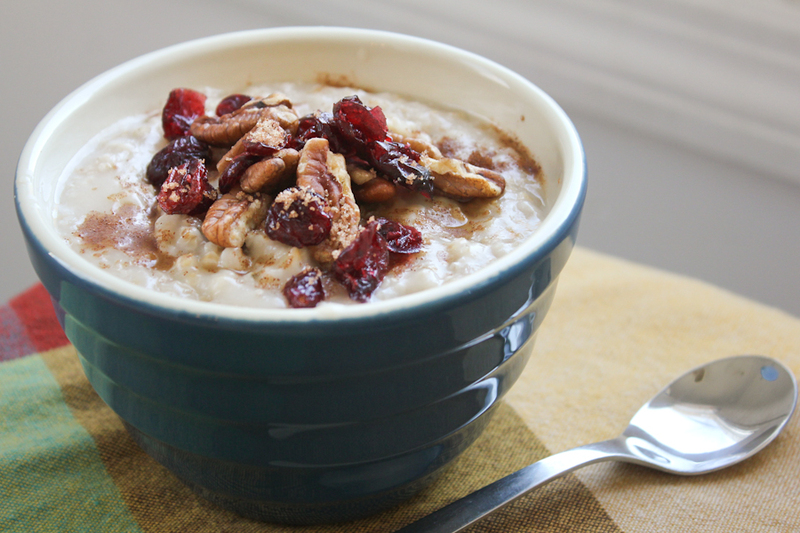 When the oatmeal’s done cooking, spoon it into bowls and top with cinnamon sugar, cherries and pecans. The first time I turned my oven on in probably a month was to make these cookies. 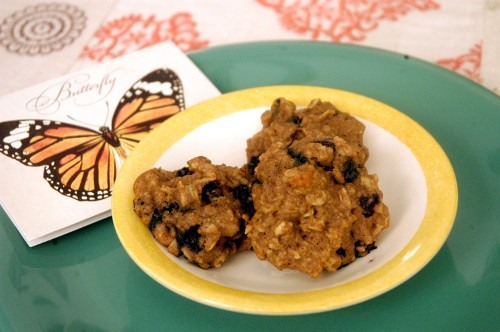 I normally bake something fairly healthy for my breakfasts, so it had been nothing but graham crackers and peanut butter with fruit for quite some time before these came along. 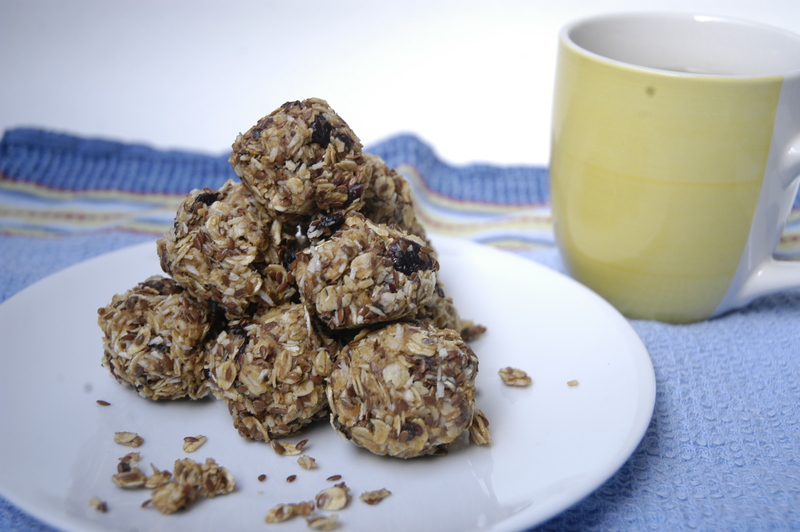 In a small bowl, mix together the oats, flours, salt, cinnamon and baking soda. In a medium bowl, combine the butter, egg, milk, vanilla extract and light brown sugar. Add the dry ingredients to the wet ingredients, mixing just until combined. Gently fold in the blueberries. Using a spoon, plop heaping tablespoons onto a parchment paper-lined baking sheet, spacing the dough about 2 1/2 inches apart. Bake at 350 degrees for 10-14 minutes or until the edges are set and the cookies are beginning to brown. Bake the cookies one pan at a time! Remove the cookies from the oven (they will still be a bit soft to the touch) and let cool on the pan for about 10 minutes before transferring them to a cooling rack. Store in an air-tight container for two days or for a week in the refrigerator. 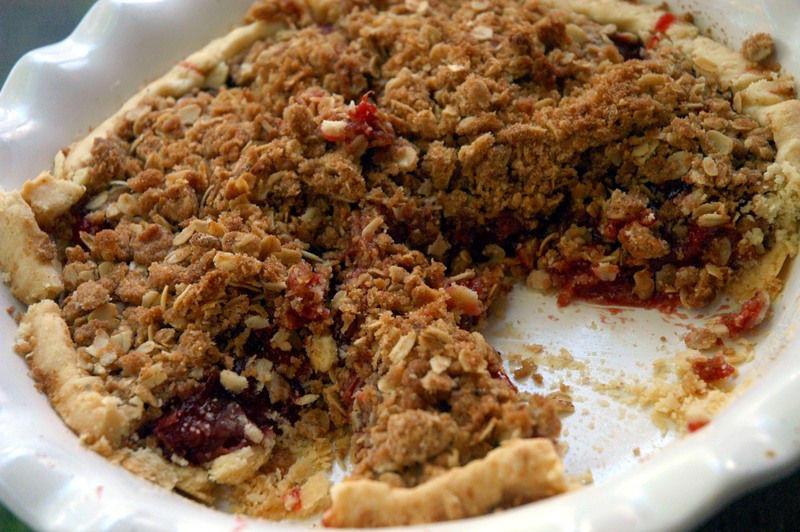 This pie turned out very well – but I’ll admit that it wasn’t without some angry struggling. I’ve made this pate brisee crust a million times but was having a lot of trouble keeping it together in my too-hot apartment. If you think you may have the same problem, maybe consider a store-bought crust. Combine the rhubarb, strawberries, sugar, corn starch and spices to a medium saucepan over medium heat. Stir occasionally and allow the mixture to cook down to a jelly-like consistency; about 15 minutes. Remove from the heat. I took this to a Memorial Day party and it disappeared pretty quickly. That’s either a good review or a party full of extremely polite people. Combine the crumble topping either in a food processor, pulsing a few times until coarse, or by mixing with your hands until coarse crumbs appear. 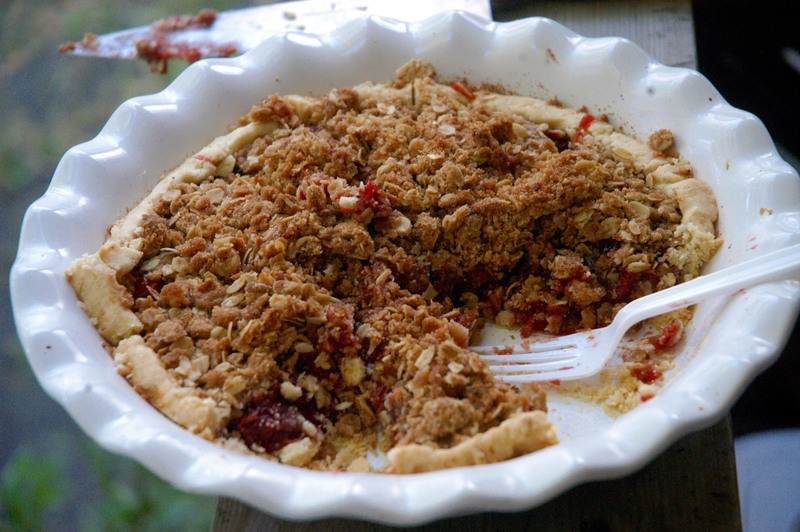 Place the crust in a pie dish and fill with the strawberry-rhubarb mixture. Trim the sides of the crust if necessary. Top with the crumble topping, being sure not to cover the sides of the crust so you can see it brown properly. Bake at 375 degrees for 35 minutes, or until the crust is golden brown. 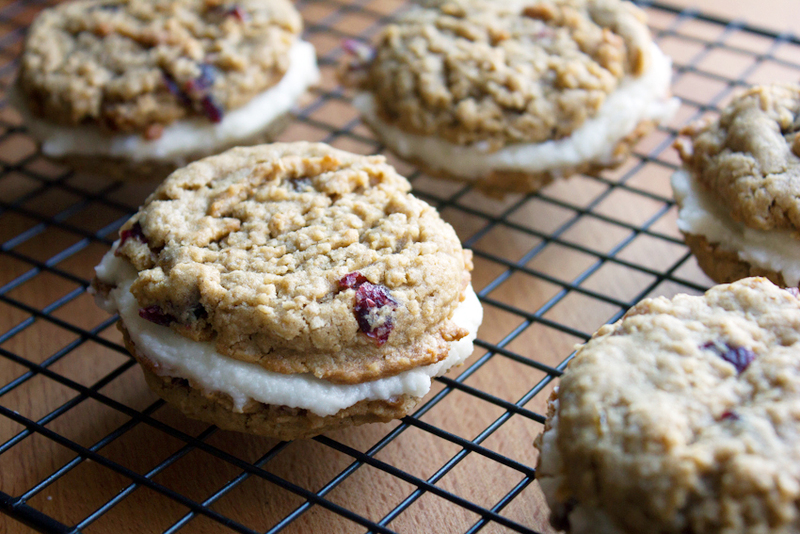 Dried cranberries are great, but fresh berries make for a much better bite in baking. Whisk the flour, baking soda, cinnamon and salt in a medium bowl. In another bowl, beat the butter, sugar and brown sugar. Add egg and vanilla. 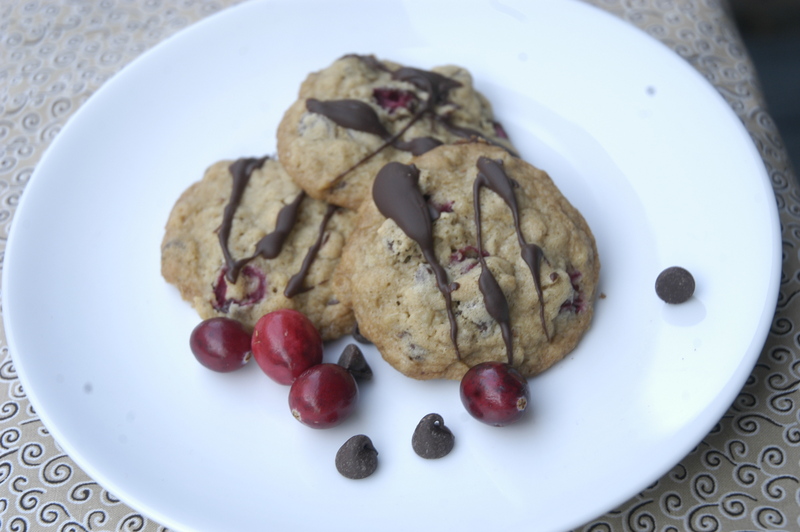 Add the dry ingredients to the wet, along with the oats, chocolate chips and cranberries. Drop rounded tablespoons onto a cookie sheet, leaving about 2 inches between each. Bake at 350 for 15 minutes or until the edges start to brown. Allow the cookies to cool on the pan for a few minutes before transferring to a cooling rack. Once the cookies have fully cooled, melt your remaining chocolate over a double boiler. Once melted, use a spoon to drizzle the chocolate over the cookies. Let the chocolate set before serving or storing the cookies. A cup of coffee (or in Anna's case, the whole pot) plus a couple of these guys is not a bad start to the day. Combine all ingredients and roll into small balls – although for me it was more like pressing them into small balls. Refrigerate and grab for breakfast. Makes about 16 golf ball-sized energy nuggets.